The smartphone that launched with a too high price in order to make some noise in the middle-price shelf. But its novelty time is gone, and the market has already verified its real value. So what can we expect from LG Q7? Smartphones from LG often get positive reviews, but it is always better to buy them when the price will drop down to a more reasonable level. The Korean devices have this problem that they are often priced too high and it is difficult for them to stand against their competition. On the other hand, their price can quickly drop down and then they are an affordable investment. 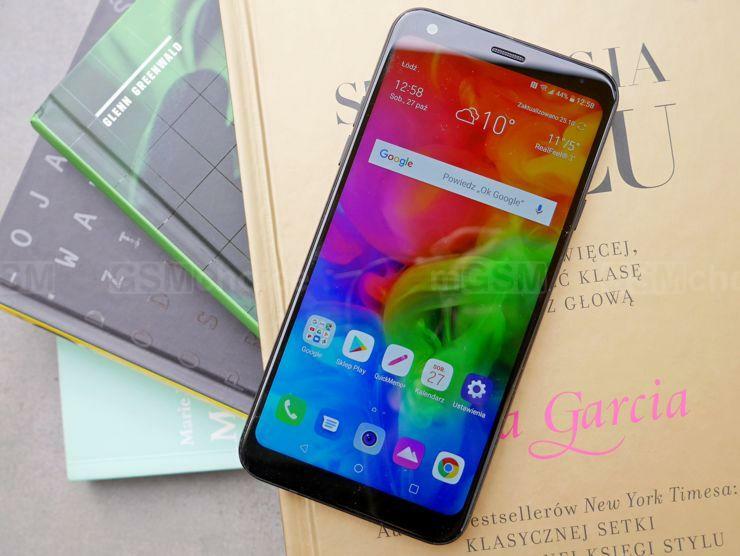 And this is the case of LG Q7, which launched with the price of 350 euro, and after a few months we can buy it in a price that does not go over 200 euro. LG Q7 is a small, neat and a handy phone. It has a 5.5-inch FullHD+ display with prolonged proportions, single main camera, USB-C socket and a minijack. It works under Android in the 8th version, and it has an octa-core MediaTek MT6750S CPU, supported with 3GB of RAM and Mali T-860 MP2 GPU. What is interesting is that the phone has a quick charging function and a dust- and a waterproof housing, which has successfully survived the durability tests specified in the MIL-STD 810G norm. In short this is how LG Q7 looks like – and now let us move to details. Source: GSMchoice.com; viewed: 895 times.